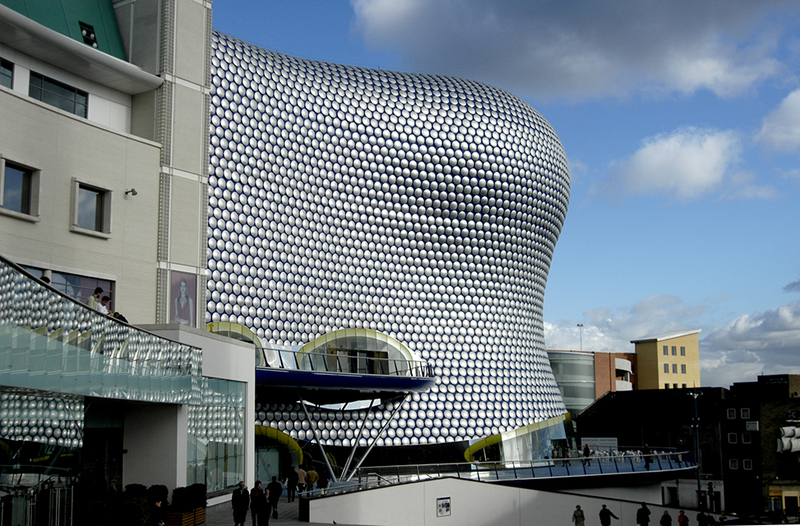 Shotcrete Services were involved in the construction of the largest freeform building in the UK, Selfridges in Birmingham, using a combination of a structural steel frame and a reinforced structural sprayed concrete cladding system. The steel frame and concrete floors were constructed using traditional techniques, prior to the installation of the cladding. Working from an architect’s 3D model, Shotcrete Services created the outer structural shell of the building. Reinforcement was connected by shear stud plates attached to the steel frame. The two layers of H12 bar also incorporated the Shotcrete ‘lost shutter’ system, allowing the structural C40 shotcrete to be built up in two layers. M12 sockets were cast into the structure to enable the fixing of over 10,000 steel discs giving the structure its iconic look. 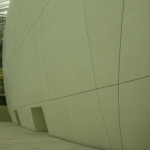 The use of the shotcrete cladding enabled the architects to produce a multi-curvature structural cladding solution that also incorporated a number of curved window and door features. The project won the Concrete Society Overall Award for Outstanding Structures 2004.